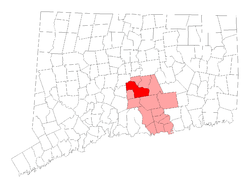 Parents in the city of Middletown, Connecticut in Middlesex County are located just 20 miles south of our West Hartford office. CT Pediatric Dentistry in West Hartford offers emergency dental care services as well as standard dental practice. If you have a child that encounters an oral emergency such as a broken or knocked out tooth, or acute tooth-ache, consider calling our on-call dentist, available after hours by dialing 860-523-4213. You can also dial the same number during regular business hours to schedule an appointment for a check-up and cleaning or other desired/required services. At CT Pediatric Dentistry, we are completely specialized in treating children and teenagers. The advantage of using a pediatric dentist is that we make the kid feel comfortable in what can potentially otherwise be a somewhat stressful situation. From teenagers to toddlers, we have years of training, experience and education that allow us to make a visit with us feel like a good idea for them. They'll gain beneficial knowledge about how to properly care for their teeth, whether its their primary teeth, or their permanent teeth have come in. Tooth restoration or extraction is sometimes needed, and we make these procedures as positive as an experience as can be. We pride ourselves, however, on advocating preventive dental health care, which is always preferable to requiring dental surgery. Our doctors speak at local schools on a regular basis professing the virtues of regular check-ups and cleanings, proper ways of keeping teeth clean and healthy at home, and advice on which foods and drinks to avoid in order to keep tooth enamel strong and healthy. Come to us from Middletown, CT for top-notch dental care in a youth-friendly environment. We employ a knowledgeable, fun and friendly staff, with the dedication you hope for when it comes to professionals treating your child. We are passionate about keeping smiles healthy, so don't hesitate to try us as your regular pediatric dental clinic.